“Lisa Ritter is a knowledgeable, dedicated real estate professional. 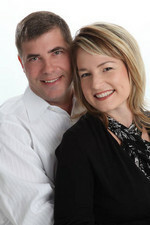 Lisa has experience in all aspects of buying and selling, including management and training of other realtors. Lisa is a straight shooter all the way. She means to keep each customer for life, and she does that by being honest with us about what we want, what we can afford, and what makes sense for our families. When searching for my present home, I wondered why buyers would need an agent, anyway, as there is so much information available on the internet these days. But that’s one of the problems. Even before the internet, I made house-hunting miserable by refusing to limit my search in any way. Lisa helped me figure out what I wanted before I trucked all over town. She also suggested I view my present home again, even though I had already seen it and rejected it on MLS. This is the best home I have ever lived in and I wouldn’t have found it without Lisa.